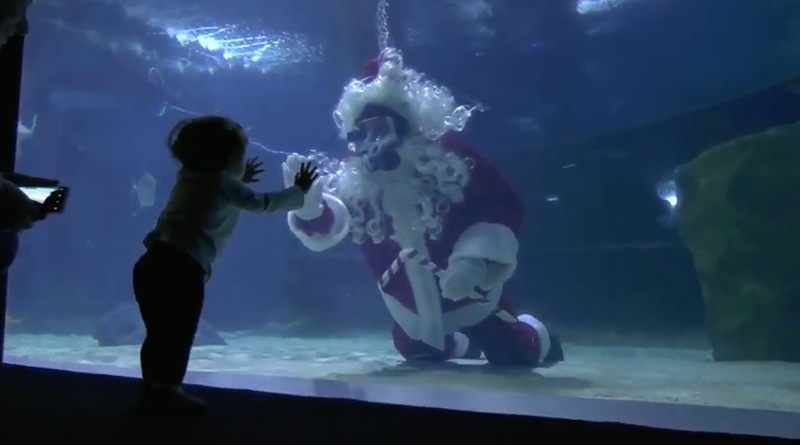 Now in its sixth year, Seas’n of Play at the Greater Cleveland Aquarium features holiday fun for kids and adults. Guests can see Scuba Claus dive in 230,000 gallons of water and ask him questions while he visits a porcupine pufferfish, green moray eel, goliath grouper, sharks and other aquatic friends on his “nice” list. Activity stations throughout the Aquarium also illustrate how hula hoops, fish-cicles and other toys and treats help to keep the Aquarium’s residents active and engaged.